The fgdump (pwdump) Download is also capable of searching and displaying the password histories if there are any of them and are currently available. This software or tool also can output the data in the compatible form of another famous software named L0phtCrack, and it can also write it in the way of the output file. This software also tries to disable the antimalware software even if it is just about to start. After it has disabled the antivirus software, it runs the cachedump or even known as the cached credentials dump, the pstgdump which is also known as the protected storage dump and pwdump. There are the administrator credentials for password and username. [-?] This function is used to display help. [-t] This function is used to test for the antivirus presence without running any password dumps. [-c] This function is used to skip the cache dump. [-w] This function is used for jumping the passwords dump. [-s] This function is used for performing the storage dump in a safe way. [-r] This function is used for forgetting the existence of cachedump or pwdump files. [-v] This function makes the output pretty much wordy or longwinded. [-k] This function is used for keeping the cachedump and pwdump running even if the antivirus is turned off or not in working condition. [-H] This function is used for reading the username, host, and password available within the command code which is separated file from line to line. [-o] This function is used for skipping of the dump files which are available in the history of the pwdump. [-a] This function is used for stopping the antivirus software from detecting the several data even though if they are available or present within it. As we have seen the whole command code which can be written in the command prompt and discussed all the elements which have been used within the system. 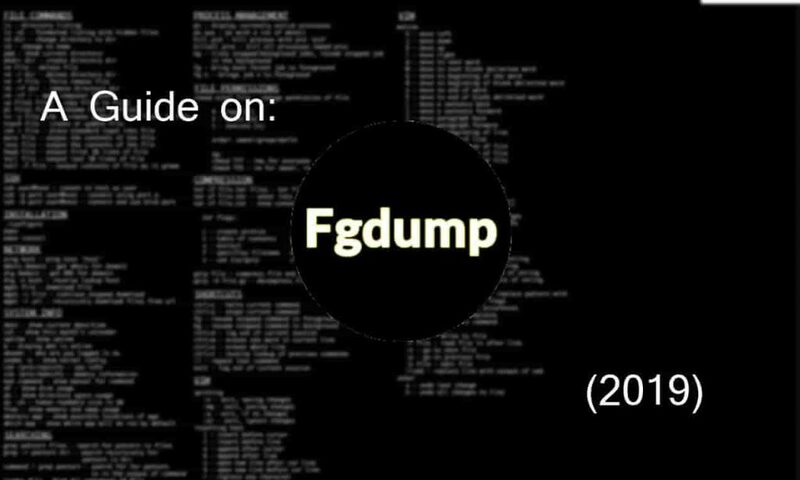 So now we will look at some of the typical examples through which we can completely understand how to use the fgdump. 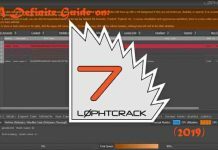 Read also: L0phtCrack Free Download – Crack Passwords Easily. The output which we receive or obtain from the executable file named “fgdump.exe” is stored in the different formats (such as host.protectedstorage, host.pwdump, and host.cachedump). As for the host, it is a particular host which is being dumped. All of these will appear at the same place or folder in which the execution of fgdump is happening. There are also some of the log files which are generated from the session-id.failed and session-id.fgdump-log (until the user revokes the name) formats. These formats contain the graspable information based on the failed hosts or the detailed logs. Now we are going to discuss the log files which I mentioned in the above point. First of all, the log file will contain the time and date of the run, and it will always be generated at the time in which it is running or executing. This log file can also be abrogated by simply using -1 if you want to change its name into something else. The fgdump will also generate a new file which will be named as “.failed.” Now, this file will contain a list, and in this list, there will be different hosts which were not able to run successfully. This file will also include the greppable data or records through which you can quickly identify the hosts which were not able to execute entirely; this process will run even if some processes are running on the host. This method usually helps when you are working in the cleanup phase. Read also: Cain and Abel Download Free for Windows 10, 8, 7. Now we are going to discuss the damping process in the different machines and user types. 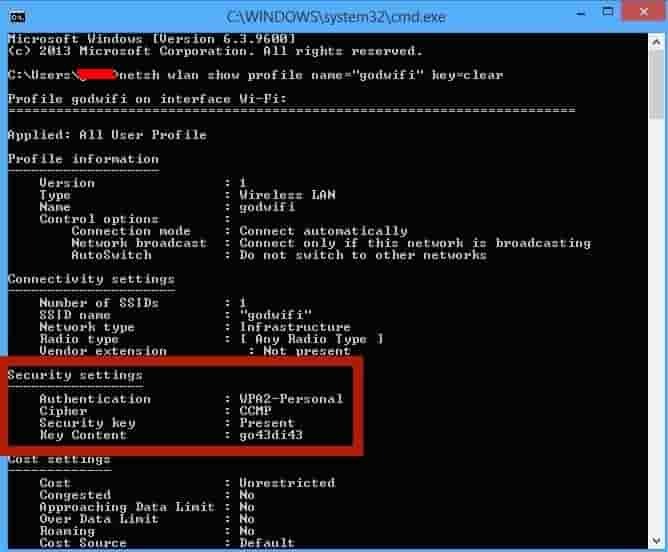 To perform the dumping with a Current User then you should know the password and username of the person (this person should be an Administrator) which is currently logged in the computer. In this process, the AnAdministrativeUser (Different Account) will be used for performing the password dumping process opposite to the local machine. When the fgdump starts executing a prompt message will appear which will ask you for the password. This type of the “AnAdministrativeUser” account is used to perform the password dump. We have to keep a point in mind that we can use any user to perform the password dumping, but it requires the administrative credentials. This means that you will again be asked for the password if you want to perform the password dumping. Read: THC Hydra Free Download – Password Cracking Tool. In this guide, we talked about the very well-known software which is used for performing the password dumping. The fgdump software is also capable of searching and displaying password histories. This tool has the ability to output the data in the compatible form of another famous tool named L0phtCrack. 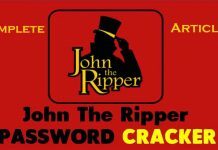 A great alternative is John The Ripper that can be used to brute force the passwords. I hope you will enjoy the pwdump (fgdump) free download. We further discussed the different functions of this tool and then we discussed the output and other log files which can be used for different purposes. Last but not least we saw the Dumping process which can be done using the different systems. Pwdump (fgdump) is the most popular Windows password hash dumping tool available for download. It can dump passwords of local user accounts in order to gain access. It is Free and open source.